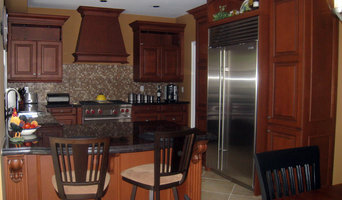 Based in Milton, ON, Cabinet Dimensions Inc. is an innovative design group that has operated locally for more than 25 years. Our expert team is comprised of accredited design specialists and installers armed with a passion to provide our clients with top quality project management and unparalleled customer service. If you decide to select cabinetry from us, any fee for drawings will be considered as a deposit towards the cabinet order. You determine the level of services you would like for your project. Most of our clients choose full design and installation services, enjoying the peace of mind that comes with knowing their project is in experienced hands. Exquisite Kitchens & Vanities Inc. Exquisite Kitchens and Vanities is a cabinet manufacturer. dsk kitchens Inc. is a design, sales and installation company specializing in the supply and installation of cabinets and countertops for your home. Associated with some of the finest custom cabinet manufacturers in Canada, we offer the most up to date styles and finishes in cabinetry today. From contemporary to traditional, modern to country, in hundreds of door styles and finishes, we have the product that will best reflect your personal taste and individual style. Whether your project is a new kitchen, a bathroom vanity, laundry room cabinets or an entertainment unit, in a new home or renovating your existing home, we are ready to help. We carry a variety of wood door styles, in oak, maple, birch, cherry, alder, pine and bamboo, in a wide range of finishes from stain and stain and glaze, to rubs and distress to create that old world charm. We also offer a variety of MDF door styles in a number of standard paint, and paint and glaze finishes. Or we can custom paint any colour, allowing you to add your own unique and personal touch to your kitchen renovation. We offer a complete line of accessories and millwork to compliment your cabinets, Corbels, columns, flutes, light valances, dove tail drawers, everything you need to customize your project. 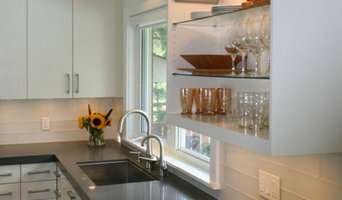 Owners Dan Sims and Steve Kielb have over thirty years experience in the kitchen and bath renovation business. The dsk team is dedicated to providing a quality product, professionally installed on time and on budget. Visit our showroom for your free, no obligation quote. Kitchen Court specializes in the custom design and installation of fine custom cabinetry for kitchens, bathrooms and every room in your home. Kitchen Court was started by the Courtney family in 1987 and continues to be one of the industry leaders with edgy design, the finest quality cabinetry from a Canadian manufacturer, installation by qualified carpenters and excellent after-sales service. Our expertise lies not only in custom kitchens, but also custom cabinetry for all other rooms of the home including: home office, bar, ensuite and bathrooms, dressing room, bedroom furniture, laundry, mudroom, etc. All of our presentation drawings are prepared using AutoCAD software for custom, detailed, accurate, and professional representations of our projects. Our showroom is conveniently located at 3303 Yonge Street in Toronto (just North of Lawrence Avenue), with an appealing selection of kitchen displays showcasing some of the infinite choices in style and design available to you through Kitchen Court. We can help our clients create any style, from Traditional, transitional, rustic, contemporary or an eclectic mix! Our showroom provides a relaxing atmosphere where you can get a close up look at the many additional features provided in our cabinetry and peruse our design portfolio. We look forward to meeting you when you visit our showroom. In the meantime, please enjoy our website and take a look at the many examples of our work in the gallery. Don't hesitate to contact us with any questions you may have. BEST OF HOUZZ 2018 SERVICE & 2017 FOR SERVICE AND DESIGN! Established in 2003, we have a big team of well experiences and talented designers, architects, builders, and retail customers to build disctintive kitchen and bathroom cabinets. Whether the requirement of our client is to build a single kitchen or to complete a house renovation project, our professionals help them with complete dedication and sincerity. We try to ease our customers by providing them high level of services and try our level best to strengthen the degree of their satisfaction. We work closely with our clients to make them successful in their home making projects. Here, at Symphony Kitchens, we are passionate about the design of the kitchens. We are a home of innovative kitchen design and are dedicated to cater to the requirements of our esteemed customers. 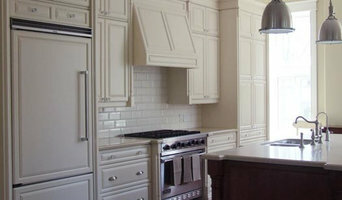 We are proud to be one of the best and renowned designers of traditional kitchens and bathroom cabinets Toronto. All our products are of superior quality and provide maximum durability. Once you are in touch with us with your requirement, you no longer have to worry about the design of your kitchen or bathroom. We are a team of professionals and working with one goal in mind - Customers satisfaction. 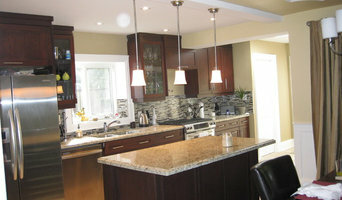 I myself a Kitchen and Bath Designer, Space Planner, a foreign trained Civil Engineer and acting General Contractor and doing professional doing additions, extensions, Kitchens, Bath and basement renovation projects from Oakville to Oshawa and Beaches to King city. We go where selected client is who is ready to spend reasonable cost and looking for quality and reliable work. Silverwood Kitchens & Bath Inc.
Muti Kitchen & Bath caters to your every need and your every desire by providing an extensive range of quality kitchen cabinets and bathroom products. The Muti showrooms are located in Toronto and Oakville Our expert kitchen designers are dedicated professionals, eager to create a kitchen or bath that suits your lifestyle. Visit our kitchen and bathroom showroom today! We are a professional Design Company, specializing in Kitchen & Bath. At KSN Professional Rendering & Design we take pride in achieving excellence and peace of mind for our valued and respected clientele through a system of "Satisfaction by design". We rely on expertise, experience and professional integrity to complete projects on time and on budget with consistently pleasing results. We design and build custom woodworking projects from start to finish for builders, designers and private clients. Our designers will consult with you and prepare drawings and assist in helping you to make an informed decision for us to move forward with creating your dream space.